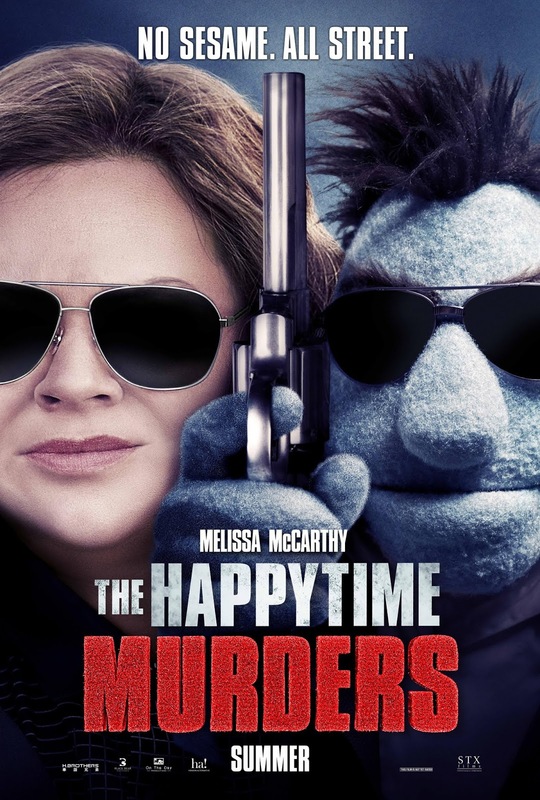 Directed by Brian Henson, son of the legendary puppeteer Jim Henson, The Happytime Murders aims to give puppets a dark and satirical edge. That means these are puppets that swear, fight, use guns, take drugs and shag each other. And sadly, that's the only joke. That's it. The film stars Bill Barretta as P.I Phil Philips, one of many puppets who live alongside humans in the city of Los Angeles, and was once the first ever puppet cop before an accident ruined his career for life, as well as set puppets back in the eyes of the public for years. When a string of puppet murders relating to a famous tv show from years ago, The Happytime Gang, starts occurring, he's forced to work together with his former partner Detective Conway Edwards, to find out who is killing all these puppets and why. A puppet with a gun? In my movie? It's more likely than you think! It can't be denied that the Henson family's puppet game is still strong, and that's the best thing about this film. Every puppet character has a unique design that wouldn't look out of place in Sesame Street's back alley, and the way they move about has only improved over the years. 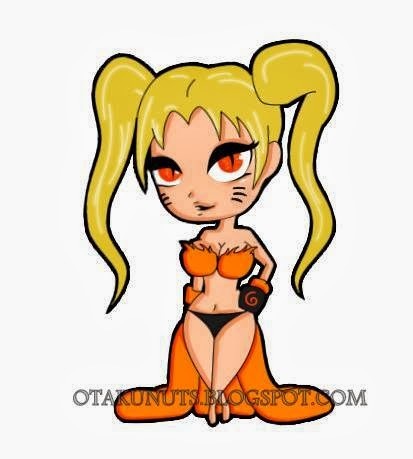 When we see a character's legs, it's not as unsettling as it was back in their glory days. Puppetry might be neglected in movies, but they've definitely been improving. Unfortunately, that's where the impressive features end. Melissa McCarthy, bless her, is clearly trying her damn hardest to give out some sort of entertaining performance but it isn't happening with this script. I've seen how funny this woman can be with the right material, but none of these scenes are well-written or even executed with comedic timing to let her or her co-stars shine. And if you've ever seen Melissa McCarthy in a movie in the past 5 years, you know exactly what they've got her doing. Tons of physical comedy, mentions of genitalia, and dialogue that goes on far too long so the jokes they're trying to make are assuredly buried, while the audience lets out a groan and begs for the editor to stop slacking off. The anatomy of these puppets must be insane. I can only imagine being a doctor in this world. The other human actors, including Elizabeth Banks, Leslie David Baker and Joel McHale, have all proven themselves to be entertaining in other projects, but like McCarthy, they aren't working with a funny script or a director who really knows how to use them properly. He's clearly better at working with puppets than people, which I think might be ironic. Usually, it's hard to explain exactly why a joke doesn't work. In the case of The Happytime Murders however, it's surprisingly easy. "The puppets are as vulgar as the humans." That is the basis of every joke in this film, and yet nothing is added to it. 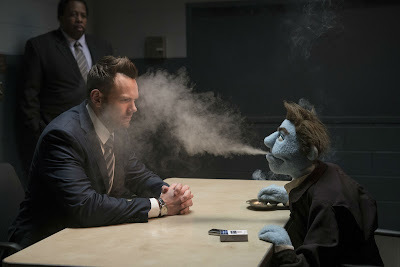 A puppet taking drugs. A puppet in a fight. Another puppet taking drugs. The gimmick of vulgar puppets was over before the second trailer aired, and the writing has no other cards to play once the cat is out of the bag. It's like if Doki Doki Literature Club had kept using that moment over and over again but with different characters and no other variety. If that's all you're going to do, it's going to get dull very quickly. Ha ha! It's funny because he's a puppet! So if the comedy doesn't work, then how about the murder mystery story? Nope. And that's a real shame, because it's clear the writers are on to something. Los Angeles is a city where all the humans get along because the puppets are hated and treated like second-class citizens. 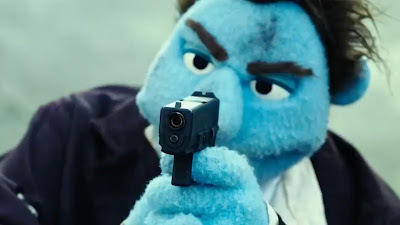 The line "A puppet cop would never shoot another puppet" comes up at one point, and that could have been an amazing commentary on race and stereotypes today. However, that's all quickly abandoned and never gets to become anything clever. As for the mystery and what the "plot twist" was... Well it isn't exactly Murder on the Orient Express or The Final Problem. It's not even worthy of comparison to Scooby Doo, although few things are I suppose. Aside from the visuals of the puppets alone, this film is a bore. The potential was there for this to be a great cult classic, a spiritual successor to Peter Jackson's Meet the Feebles, or a reflection of today's society through the use of felt and wool. I'm not angry at the film. I'm just disappointed. And bored. Very bored. Best Performance: Bill Baretta as Phil Philips. Worst Part: So much wasted potential.